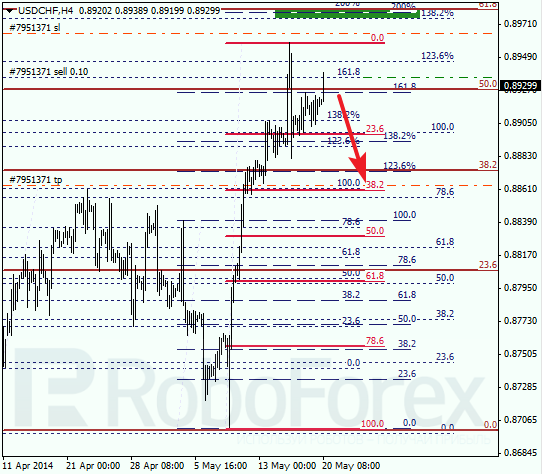 Eurodollar is still being corrected; target is still at local level of 38.2% (1.3780), where I placed limit sell order. If later price rebounds from it, pair may start new descending movement. 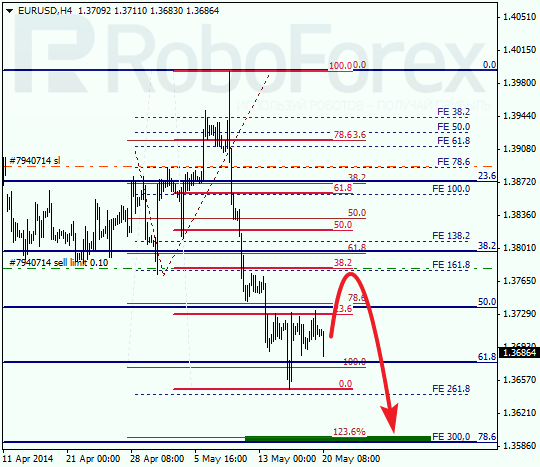 As we can see at H1 chart, market is moving inside temporary fibo-zone. Considering that local correction reached level 61.8% (1.3680), price may rebound from it and start growing up towards main target. We should note, that if bulls are able to break level of 38.2% (1.3780), pullback upwards may be more significant. 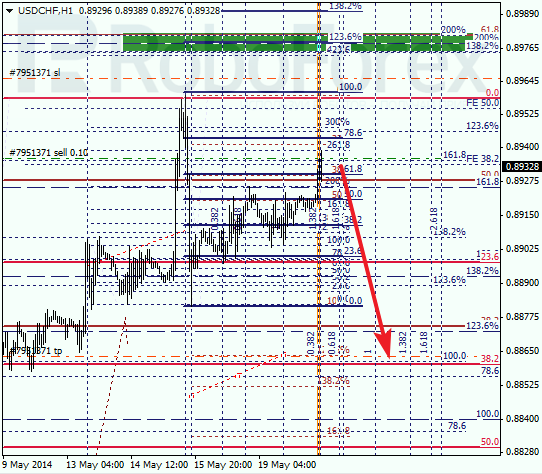 Franc is reversing. Most likely, during the next several days descending correction will continue; its target is at level of 38.2% (0.8860). 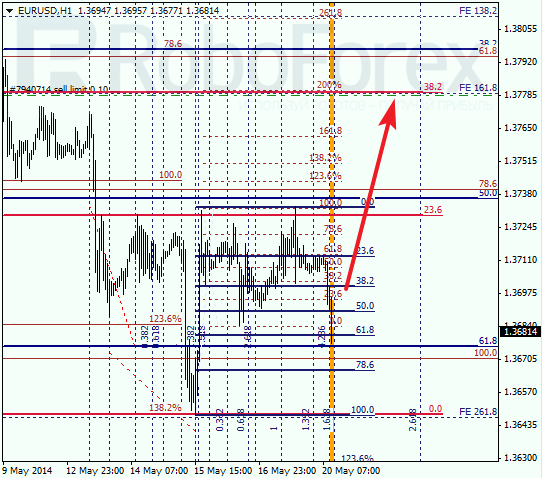 During current consolidation, I opened sell order with target placed at above-mentioned level. At H1 chart, price has almost reached level of 78.6%. Considering that market is moving inside temporary fibo-zone, price may rebound from current levels during the next several hours. If later pair rebounds from level of 38.2%, I’ll close my sell order and open buy one.